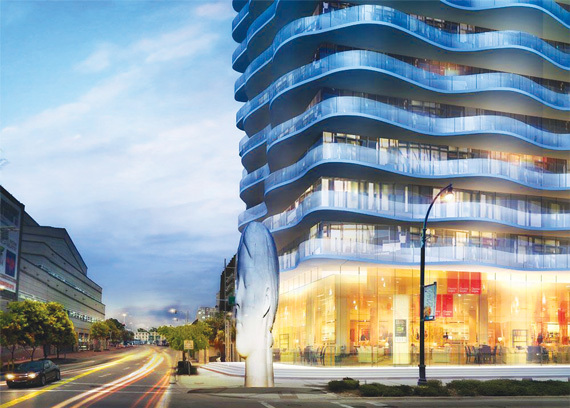 Amid a market slowdown, the Related Group is likely delaying construction for its Auberge Residences & Spa Miami project until at least end-year 2018, sources told The Real Deal. Auberge Miami is a 60-story, 290-unit building that Related plans to build at 1400 Biscayne Boulevard, which is in Miami’s Arts & Entertainment District. It is the initial phase of a three-tower project that would have 1,430 units and 13,280 square feet of retail space. The site currently contains a mid-rise office and retail building. According to emails obtained by TRD, Blanca Commercial Real Estate — the brokerage handling leasing for the development site — sent an offer to at least one tenant that would extend its lease until late August 2018. The offer terms notably did not include a previously used development clause that would have allowed Related to cancel the lease with a minimum of six months’ notice. In April, Related Vice President Jon Paul Pérez said the project would break ground in 2017. Prices for condos at the first tower range from $350,000 to $3.9 million. The Related Group declined to comment, as did Blanca. According to a second-quarter report from ISG, sales for the initial tower stand at 15 percent. The project is meant to be 31-year-old Pérez’s first foray into leading a development for Related. One of Related CEO Jorge Perez’s four children, he is being groomed to eventually take over the company alongside his younger brother Nick. Related Companies founder and chairman Stephen Ross has found a new name for his Miami Dolphins stadium: Hard Rock Stadium. Hard Rock International will brand the newly renovated stadium in Miami Gardens as part of a deal reportedly worth nearly $250 million over the course of 18 years. At $13.8 million a year, it represents the third-biggest naming rights deal in the NFL. The money will help pay for $500 million in stadium renovations, including a canopy with a Hard Rock logo that covers most of the 65,326 seats. The Dolphins will play the first game in the renamed facility, formerly called Sun Life Stadium, on Sept. 1. Ross purchased 50 percent of the Dolphins from previous owner Wayne Huizenga for $550 million in 2008 and assumed full control of the team in 2009. Zika has spread to Miami Beach after first having been found in Miami’s Wynwood neighborhood. 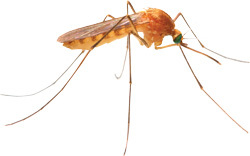 The Florida Department of Health has added a Zika active transmission zone in Miami Beach that runs from Eighth Street to 28th Street between the beach and the Intracoastal Waterway. Previously, only one area in the country had been declared an active transmission zone for the virus: a one-square-mile chunk of Miami including Wynwood, parts of Edgewater, Midtown and the Design District. Businesses and tourism in Wynwood, one of Miami’s hottest areas, have already been hit hard by Zika fears. The virus is chiefly of concern to pregnant women, potentially causing birth defects. For others, Zika can present symptoms like rash and fever, or possibly none at all.